National Guardian Life Insurance Company (NGL) donated $15,000 to Second Harvest Foodbank of Wisconsin. MADISON, Wis. - Dec. 13, 2018 - PRLog -- National Guardian Life Insurance Company (NGL) proudly supported the 23nd annual NBC15 Share Your Holidays to eliminate hunger campaign to benefit Second Harvest Foodbank of Wisconsin. This year, the food/fund drive campaign had a goal to raise one meal more than last year's 4.18 million meals. Since its inception in 1996, southwestern Wisconsin's largest food/fund drive campaign has raised more than 40 million meals. NGL's $15,000 sponsorship provided 45,000 meals for people who are struggling with hunger in our community. In addition to NGL's corporate sponsorship, there were 19 NGL employees who volunteered during the Grand Finale Phone-A-Thon on December 5. "Participating in the Share Your Holidays Grand Finale Phone-A-Thon was so much fun. It was nice knowing we were raising money for a real urgent need in our community – helping to end hunger. I will definitely volunteer again next year," said Michele Gjertson NGL System Analyst. "I had a blast! There was one caller who thanked all of us for volunteering our time to take calls and donations to help end hunger in Southern Wisconsin. It felt good knowing that I was helping. I would definitely volunteer again," shared Brandon Hellwig, NGL Contact Center Team Lead. 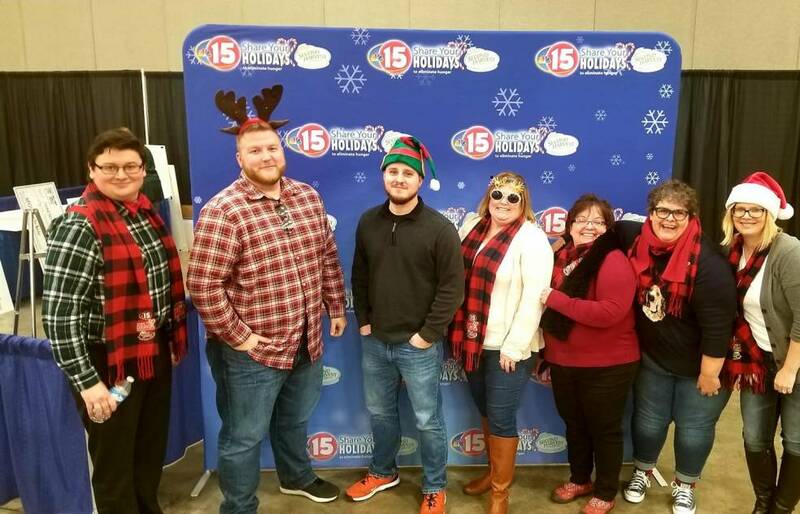 "This was my second year in a row volunteering for the Share Your Holidays Phone-A-Thon. I truly enjoy this volunteer opportunity. It is so great to see how a donation that's as little as $1 can make a difference. The amount of donations varied and the 'thank you' that I received from the callers for taking the time to volunteer was amazing," said Karen Chadwick, NGL Account Manager. Second Harvest Foodbank of Southern Wisconsin, southwestern Wisconsin's largest hunger relief organization, is a nonprofit that is committed to ending hunger in 16 southwestern Wisconsin counties through community partnerships. Learn more at: secondharvestmadison.org. Since 1910, National Guardian Life Insurance Company (https://www.nglic.com/home) (NGL), a mutual insurance company, has been located in Madison, Wis. Licensed to do business in 49 states and the District of Columbia, NGL markets preneed and individual life and annuities, as well as group markets products including specialty and student insurance. Additional information about NGL can be found at www.nglic.com; Facebook and LinkedIn.